Putting ink under your skin is a quite permanent decision. Even though there are certain laser-removal techniques that will help you out with a regretful tattoo, the health of your skin is at risk. Furthermore, laser-removal is quite expensive and doesn’t achieve great results all of the time. 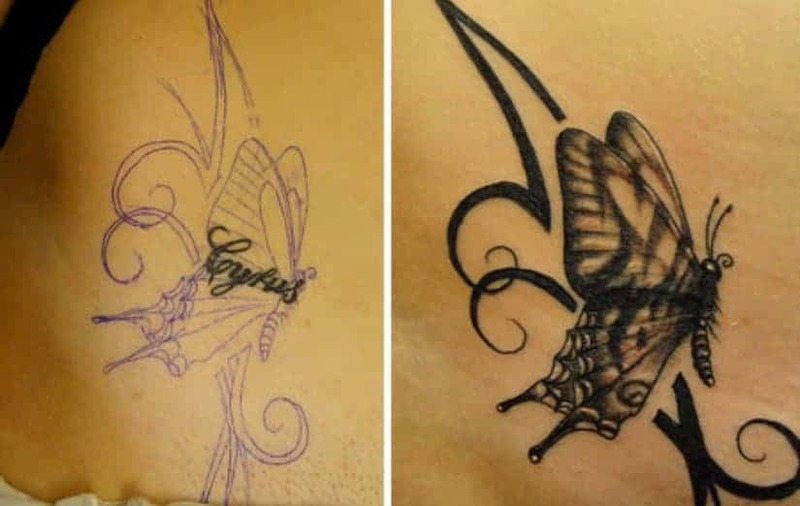 With that in mind, if you have the name of an old lover tattooed, or something that you’ve inked on your body on a drunken night, you should rather think creativly than simply going for the easy option of laser removal. And making the best out of theirs situations, that’s what these people did. 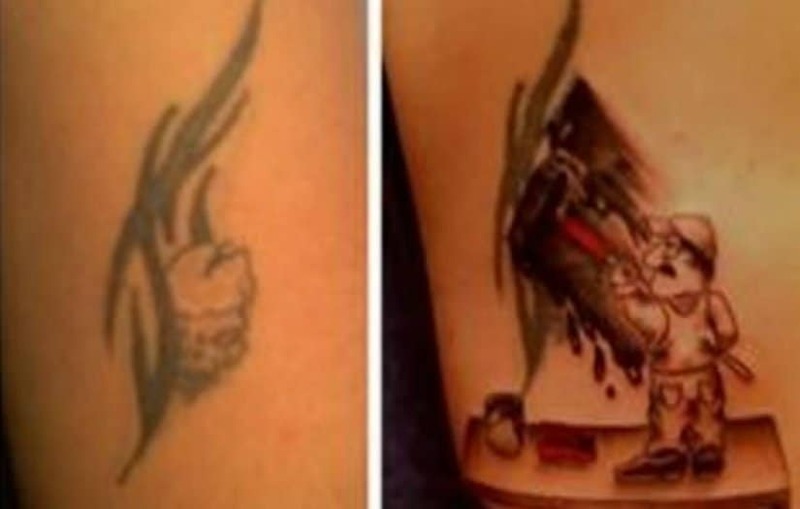 Without further adieu, here are 10 awesome cover-up tattoos. It seems like Timmy has left quite the mark on this person’s heart. 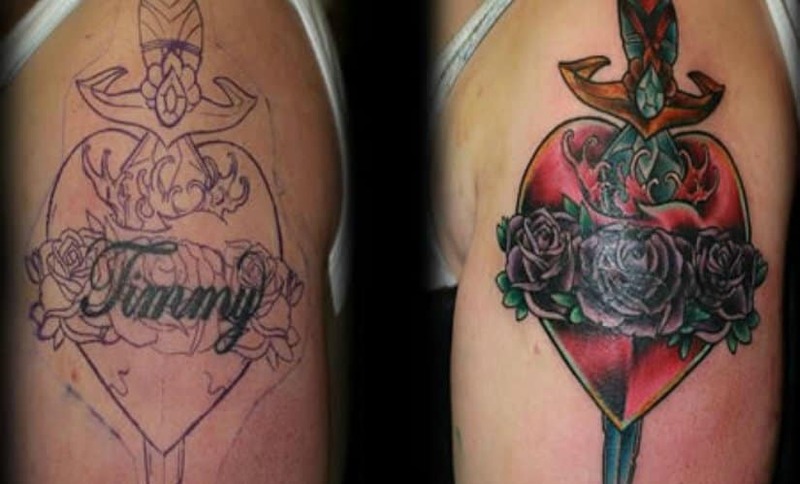 However, they did the best of the situation and inked-away the wounds with this awesome pierced heart cover-up tattoo. It seems like this girl wanted to fly away from her troubled love and metaphorically, that’s exactly what she did. The result being this amazing butterfly tattoo! 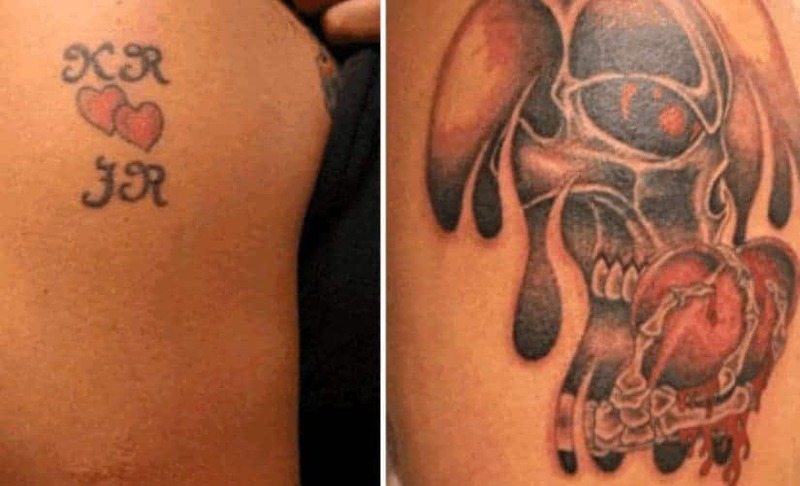 It is not surprising that most of the tattoos on the list are love related, having in mind the fact that tattooed names of exs can be quite painful. Expressing this pain, this guy has created an awesome, gruesome and bloody tattoo! 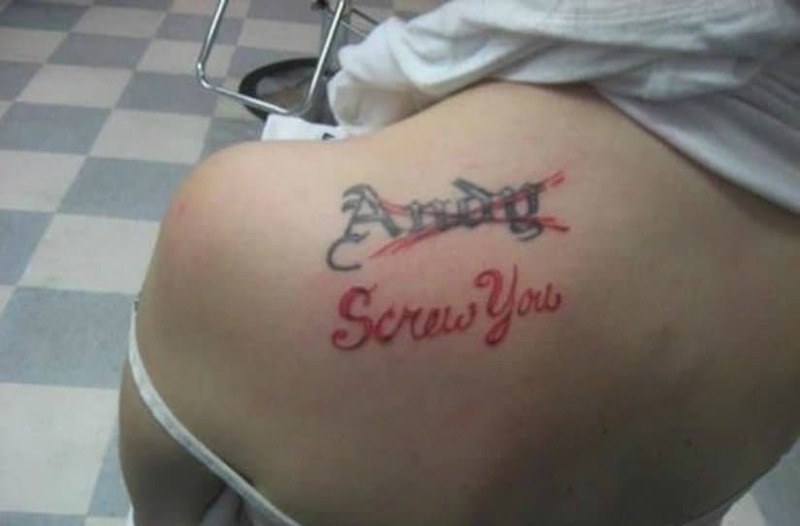 Spelling mistakes are quite common, but as you often don’t have access to a quick spell-check when you want a tattoo put on your body, things can get quite regretful. 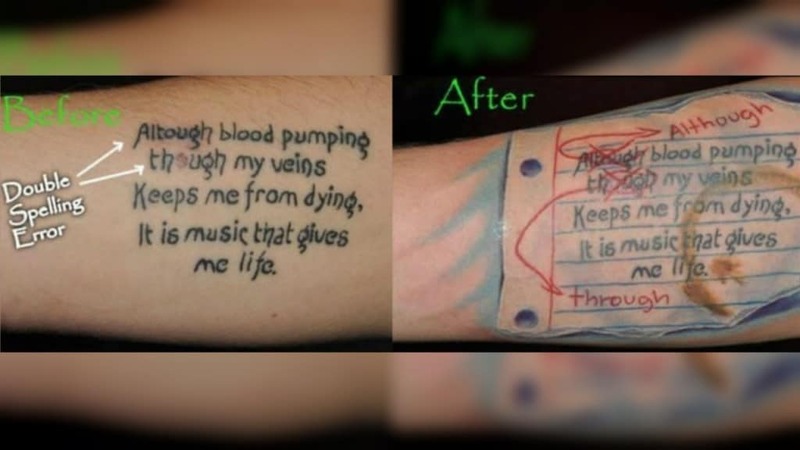 However, this guy has come up with an amazing way to cover his spelling mistakes! 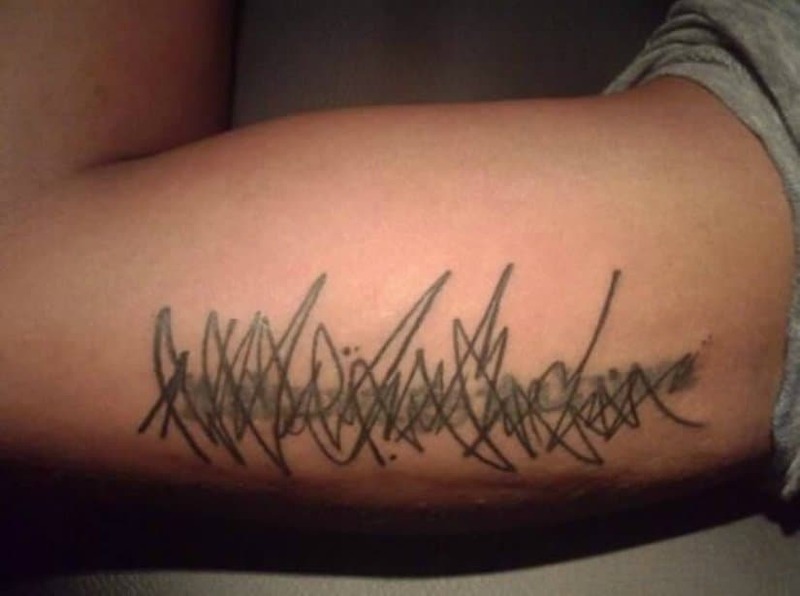 We are not sure whether this guy is trying to cover up the name of an ex or something else that was written before, but his creative tattoo is certainly the way to go! Good thing that this guy’s ex was called Lauren! 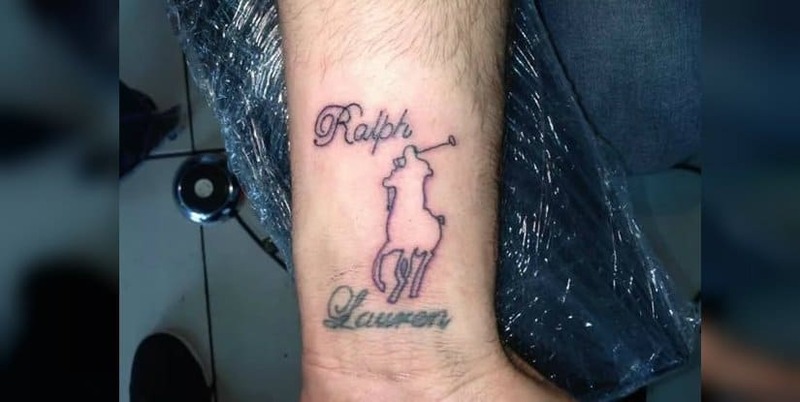 It seems like he has since become a huge Ralph Lauren fan, or, of course, is simply trying to cover up a regretful tattoo in a clever way. It seems like this tattoo artist didn’t perform great when asked to draw Pikachu. 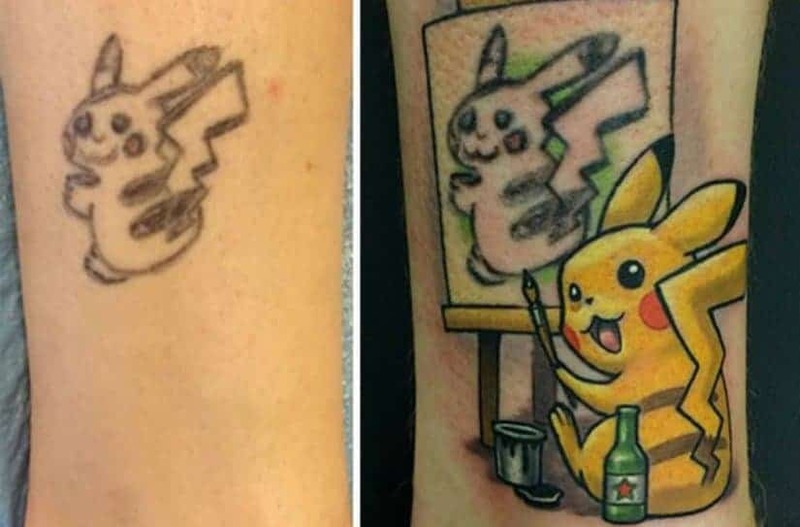 Good thing another more skilled artist came to the rescue and managed to save the day in a creative manner, creating this awesome Pikachu Drawing Pikachu cover-up tattoo. Whether or not you understand what the first too actually is, the way the mistake has been covered, is definitely extremely awesome! 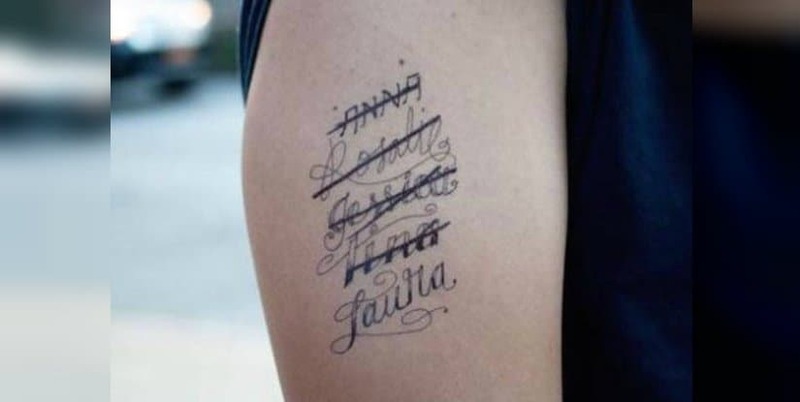 Most of the people on this list have come up with so many different ways to cover up the tattooed name of their exs, that they’ve forgot that sometimes being straightforward is the best choice. Just as this girl did! This guy seems to have a ton of love-related issues, having in mind the scratched names of so many girls. We are not sure, but we think that his love-trouble may very well be related with his tattoo!